An Ethical Analysis of Obama’s Climate Speech, the Adverse Political Reaction to It, and the Media Response. On June 25th, President Obama gave a major speech on climate change in which he announced what his administration would do to reduce greenhouse gas (ghg) emissions in the United States. Although the US Congress has continued to fail to act on climate change since climate negotiations began in 1990, President Obama identified administrative actions that he would take that did not depend upon US congressional action. As we shall see, the speech was significant for some of the ethical issues touched upon in the speech. As expected some US politicians vigorously attacked the speech on the basis that the announced actions would destroy jobs and the US coal industry. We now look at this speech, the political response to it, and the US media reaction through an ethical lens. In light of the US’s strong moral duty to take action to reduce the threat of climate change that has been virtually ignored by most previous US leaders. many parts of this important speech are worthy of praise. President Obama promised to use this authority under the federal Clean Air Act to reduce greenhouse gases from electric power plants. He also dismissed climate change skeptics as Flat Earthers and urged US citizens at all levels to take steps to reduce climate change causing emissions and push back against those who would work to undermine US policy to reduce the threat of climate change. He further announced plans to double wind and solar power while increasing the use of renewable energy in federal facilities to 20 % in 7 years. He also identified a number of policy responses to reduce energy demand with the goal of significantly reducing the waste of energy. So the question is not whether we need to act. The overwhelming judgment of science — of chemistry and physics and millions of measurements — has put all that to rest. Ninety-seven percent of scientists, including, by the way, some who originally disputed the data, have now put that to rest. They’ve acknowledged the planet is warming and human activity is contributing to it. He also acknowledged some US responsibility to help developing nations transition to clean energy and announced a number of policy initiatives in support of this goal. [A]s the world’s largest economy and second-largest carbon emitter, as a country with unsurpassed ability to drive innovation and scientific breakthroughs, as the country that people around the world continue to look to in times of crisis, we’ve got a vital role to play. We can’t stand on the sidelines. We’ve got a unique responsibility. This statement is very significant for its ethical implications. In fact, this is the strongest statement of any US President in regard to acknowledging that US policy on climate change can not solely be based upon US interests alone. That is, it is notable for its recognition of US responsibility to act on climate change. Thus, in addition to US interests in climate change policies, President Obama acknowledged that the United States has obligations, responsibilities, and duties to act. This fact has profound significance for US climate change policy. It means, that the US must consider its obligations to others not to harm them through our ghg emissions. Yet, as we have seen over and over again, US climate change policies are usually debated in the United States as if only US interests count. We’re going to need to give special care to people and communities that are unsettled by this transition — not just here in the United States but around the world. And so, President Obama seems thus to acknowledge US obligations to help developing nations to adapt to climate change. Two years ago, we decided to forge a new agreement beyond 2020 that would apply to all countries, not just developed countries. What we need is an agreement that’s ambitious — because that’s what the scale of the challenge demands. We need an inclusive agreement -– because every country has to play its part. And we need an agreement that’s flexible — because different nations have different needs. This statement is of considerable ethical significance because it acknowledges that different nations have different responsibilities and needs in regard to climate change policies. This idea was agreed to by the United States but has largely been ignored. In ratifying the United Nations Framework Convention on Climate Change in 1992 under then president George H. W. Bush, the United States promised to reduce its ghg emissions based upon “equity” and “common but differentiated responsibilities” to prevent dangerous climate change. This idea, which entails looking at the US response to climate change through the lens of distributive justice, has been almost completely ignored by the US Congress and former US presidents. It is also an idea that entails that the United States must reduce its emissions more aggressively than developing nations that have done significantly less to cause increasing atmospheric ghg concentrations. This statement also implicitly acknowledges that all nations. including the United States, have an ethical duty to increase the ambitiousness of its ghg emissions reductions commitments in climate negotiations that are under discussion until 2015. Our founders believed that those of us in positions of power are elected not just to serve as custodians of the present, but as caretakers of the future. And they charged us to make decisions with an eye on a longer horizon than the arc of our own political careers. That’s what the American people expect. That’s what they deserve. And so as a matter of ethics, President Obama acknowledged that the US has a special responsibility to act on climate change in response to our ethical obligations, not our national interests alone , in proportion to our responsibility as a matter of distributive justice and our obligations to future generations while at the same time assisting vulnerable developing nations to adapt to the inevitable adverse climate impacts that now can not be avoided. 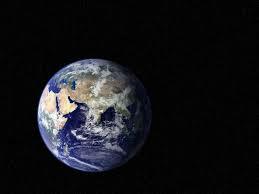 President Obama also ended his speech with a call to recognize the sacred importance of protecting Earth by recalling the astonishment of the astronauts when they saw the Earth from outer space as they came around the moon for the first time. For while we may not live to see the full realization of our ambition, we will have the satisfaction of knowing that the world we leave to our children will be better off for what we did. “It makes you realize,” that astronaut said all those years ago, “just what you have back there on Earth.” And that image in the photograph, that bright blue ball rising over the moon’s surface, containing everything we hold dear — the laughter of children, a quiet sunset, all the hopes and dreams of posterity — that’s what’s at stake. That’s what we’re fighting for. And if we remember that, I’m absolutely sure we’ll succeed. And so as, a matter of ethics, Obama’s speech was laudable and historically significant in many respects. That is not to say, however, that the Obama speech cannot be criticized for some omissions in regard to the US’s ethical obligations for climate change. These omissions included: (a) the lack of recognition that dependence on natural gas as a bridge fuel for reducing the US carbon footprint raises several ethical questions, a matter reviewed here in detail, (b) acknowledgment of the US special responsibility for climate change for its unwillingness to take action on climate change for over 20 years since it ratified the United Nations Framework Convention on Climate Change in 1992, see, The World Waits In Vain For US Ethical Climate Change Leadership As the World Warms, and, (c) failing to communicate the extreme urgency of quickly and significantly reducing ghg emissions in the next few years to give the world any hope of avoiding dangerous climate change, see, On the Extraordinary Urgency of Nations Responding To Climate Change on the Basis of Equity. In this regard, Obama’s speech utterly failed to acknowledge the magnitude of the ghg emissions reductions that are ethically required of the United States in the next decade. 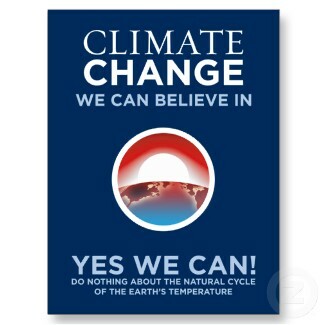 And so, all in all, the Obama speech can be praised for its express recognition of many of the ethical ethical obligations entailed by climate change despite some quibbles about a few ethical issues not covered well. As was expected, the political opposition in the US to the speech was rapid and intense. 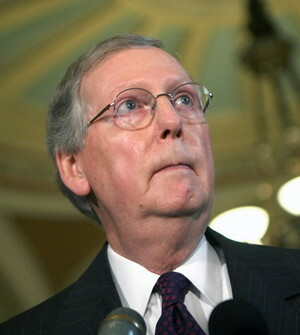 For instance Senate Minority Leader Mitch McConnell, R-Ky., said that Obama’s plan on climate change was was a “war on coal” and on jobs. 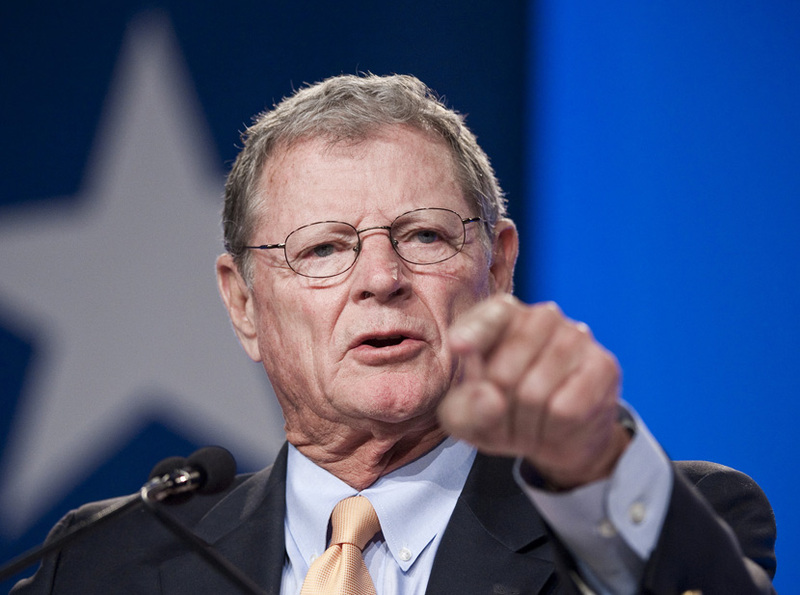 Senator James Inhofe, R-Ok, who has consistently claimed that the mainstream scientific view on climate is a “hoax,” said the Obama plan will cost the US economy $400 billion a year while ranting about other aspects of the Obama climate plan. The most frequent justifications for the strong opposition to the Obama climate plan have been the claimed severe economic harms to the US economy, lack of scientific certainty on adverse climate impacts, and the inability of the United States acting alone to prevent climate change. As we have explained in considerable detail before, these excuses utterly fail to withstand minimum ethical scrutiny. Economic harm arguments made in opposition to Obama’s climate plan, for instance, even if true, both fail to recognize the ethical obligations that the United States has to not harm others through our ghg emissions and to acknowledge the costs of not acting. US climate policy cannot be based upon US interests alone. The United States has obligations to others. In addition, economic arguments for not acting on climate change ignore obligations that nations have if they are creating human rights violations and duties entailed by distributive justice. These are only a few of the ethical problems with economic arguments made in opposition to US climate change policies. 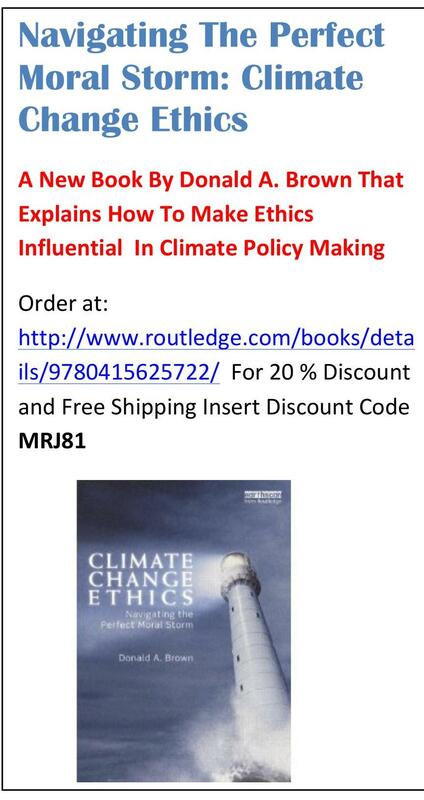 For a detailed ethical analyses of economic arguments made in opposition to US climate change policies, see Ethicsandclimate.org index under Economics and Climate Ethics. Scientific certainty arguments made in opposition to climate change fail as a matter of ethics for a host of reasons including the fact that almost all of the most prestigious scientific organizations in the world and the vast majority of scientists that do peer-reviewed science support the consensus view that has concluded that climate change is a growing civilization challenging threat to people and ecological systems on which life depends around the world, uncertainty in these situations raises ethical questions about burdens and quantity of proof, those most vulnerable to climate change have not consented to be put at risk from climate change, and the longer the world waits to reduce the threat of climate change the worse the problem becomes. For detailed ethical analysis of scientific uncertainty arguments made in opposition to climate change, see Ethicsandclimate.org index under Scientific Uncertainty and Climate Ethics. 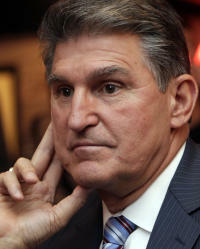 And so, the arguments made in opposition to the Obama speech fail to withstand ethical scrutiny. The US media response to the Obama speech and the political response thereto has once again completely ignored the ethical problems with the strong political opposition to the speech. As we have noted over and over again in regard to the US media coverage of the US response to climate change, the US press is utterly failing to cover ethical issues entailed by opposition to climate change policies in the United States. This is particularly true of economic and scientific uncertainty arguments made in opposition to proposed US climate change policies. Nor is the US press covering ethical issues entailed by the urgency and magnitude of the need to reduce ghg emissions given that the world is likely running out of time to prevent warming of 2 degrees C, a warming amount which is widely believed could create rapid, non-linear climate change. For a discussion of this issue, see: On the Extraordinary Urgency of Nations Responding To What Equity Requires of Them In Their Responses to Climate Change. One might ask why the US media is failing to cover the obvious ethical questions raised by climate change issues given that the ethical issues have profound consequences for climate change policy and climate change raises obvious civilization challenging ethical issues. We might ask why the US press is failing to cover the ethical and justice issues entailed by climate change given that vulnerable countries around the world have been screaming for developed nations including the United States to respond in accordance with their ethical obligations. Is the US press so connected to the economic interests of the United States, that it is blind to the US ethical obligations for climate change? If the US press has not been corrupted by the economic interests of the United States, the only plausible explanation for the US media’s failure to cover the ethical issues raised by climate change is that the reporter’s covering climate change don’t understand the civilization challenging ethical issues raised by climate change. If this is the explanation, there is a huge practical need to demand that the US press turn up the volume on the ethical dimensions of climate change. Widener University School of Law. The United States defended its track record on fighting climate change as the Qatar climate change negotiations began last week. The US representative Jonathan Pershing claimed that the United Sates was making “enormous” efforts to slow global warming and help the poor nations most affected by it. 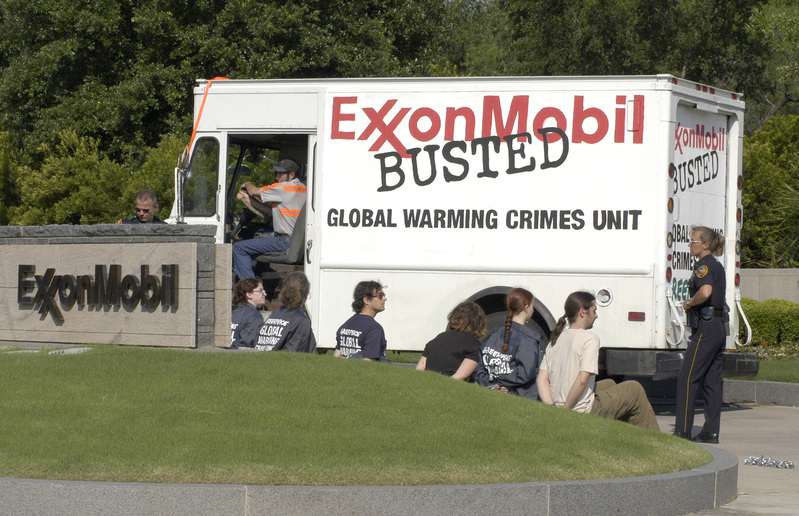 (Associated Press, 2012) Other countries have accused the United States of consistently blocking progress in the search for a global solution to climate change particularly since the George W. Bush administration abandoned the Kyoto Protocol, the 1997 treaty limiting emissions of heat-trapping gases by industrialized countries. As negotiators met for a two-week session in oil and gas-rich Qatar, U.S. delegate Pershing suggested America deserves more credit and said: “Those who don’t follow what the U.S. is doing may not be informed of the scale and extent of the effort, but it’s enormous.” Pershing also noted that the Obama administration has taken a series of steps, including sharply increasing fuel efficiency standards for cars and trucks, and made good on promises of climate financing for poor countries. (Associated Press, 2012). Thus far, the United States has not articulated any willingness to go beyond the voluntary emissions reductions commitment it made in Copenhagen three years ago. The US apparent unwillingness to reduce its greenhouse gas emissions beyond what it is already on track to achieve is of considerable controversy in the Qatar negotiations this week because of the growing scientific concern about the potential inevitability of catastrophic warming caused by human activities. Probably at the top of the list in order of importance of all of the issues under negotiation in Qatar is the need to increase the ambitiousness of emissions reductions commitments by nations so that that future warming is limited to 2°C. Because nations have failed to make commitments to reduce global greenhouse gas emissions to levels that will limit future warming do 2°C, there is an increasing sense of urgency among climate scientists around the world on the need for all nations to significantly increase their greenhouse gas emissions reductions commitments to their fair share of safe global emissions. This will require most nations, but particularly high-emitting nations such as the United States, to greatly increase commitments beyond those that they had made in the Copenhagen Cop in 2009. As we have written about extensively before on EthicandCliamte.org, the world has been waiting for over two decades for the United States to show leadership on climate change. See, f0r instance, The World Waits In Vain For US Ethical Climate Change Leadership As the World Warms. Although there are many countries other than the United States that have frequently failed to respond to what justice would require of them to reduce the threat of climate change, the United States, perhaps more than any other country, has gained a reputation in the international community for its consistent unwillingness to commit to serious greenhouse gas emissions reductions during the over two decades that world has been seeking a global agreement on how to respond to climate change. Because the United States is such a vital player in any global solution to climate change, the US lack of response to its obligations to reduce the global threat of climate change is widely seen as an immense impediment to an urgently needed global climate change solution. And so the world continues to wait for ethical leadership from the United States on climate change at a time when climate change damages are becoming more visible around the world. The United States according to the World Resources Institute has recently made progress on its greenhouse gas emissions toward its voluntary target of reducing greenhouse gas emissions by 17% below 2005 emissions by 2020 to the extent that it may reduce its emissions by 9.5 % by 2020. (WRI, 2012) US ghg emissions reductions have been achieved in the United States due largely significant fuel switching in the electricity sector from coal to natural gas, an economic slowdown that began in 2008, and some federal and US state regulatory programs designed to reduce ghg emissions. Yet because the US projected reductions of 9.5% below 2005 in 2020 is equal to a 2% increase above 1990 levels in 2020 at a moment in history when many scientists believe that a reductions of 25 to 4o% below 1990 levels by 2020 are necessary to prevent dangerous climate change, the US projected reductions fall extraordinarily short of any reasonable US fair share of tolerable global emissions. Because of these inadequate commitments from the United States, ECO, an NGO publication that reports on developments at UNFCCC negotiations, wrote the following letter to President Obama that we hereby reprint. In his victory speech after being re-elected to a second term, President Obama swelled the hopes once again of people around the world who care about climate change when he said, “We want our children to live in an America that is not burdened by debt, that is not weakened by inequality, that is not threatened by the destructive power of a warming planet.” Those hopes continued to swell when in a press conference a few days later, he responded to a question from the media on climate by saying that he planned to start “a conversation across the country…” to see “how we can shape an agenda that garners bipartisan support and helps move this agenda forward…and…be an international leader” on climate change. President Obama appears to understand that climate change is a legacy issue that was not adequately addressed during his first term in office. The question therefore has to be, what next? In his second term, will President Obama deliver the bold action needed to reduce the threat of climate change to the US and the world, by shifting the US economy towards a zero carbon future, and making the issue a centerpiece of US foreign policy? In the aftermath of superstorm Sandy, and the drought, wildfires and other extreme weather events that have afflicted the US over the last year, it is clearly time for President Obama to press the reset button on climate policy, both nationally and internationally. First, the world needs to hear from the President and his negotiating team here in Doha that they remain fully committed to keeping the increase in global temperature far below 2 degrees, that it is not only still possible but essential to do so, and that the USA is going to provide leadership in this collective effort. The administration should then make clear how it will meet its current 17 percent reduction target. While US emissions are decreasing slightly – both as a result of the administration’s policies on renewable energy and vehicle fuel economy standards and because of sharply lower natural gas prices that have reduced coal use for electricity generation – it is unlikely that without additional regulation or legislation that the US will meet its 2020 target. The delegation should also clarify what the Obama Administration will do to put the US on track to the near-elimination of emissions by mid-century called for by the scientific community. Finally, delegations need to hear that the US remains committed to meeting its fair share of the Copenhagen pledge of mobilizing $100 billion in climate finance per year by 2020, as well as which innovative finance options the administration is prepared to support to get there. These four steps would go a long way to reset US climate diplomacy. They would show that instead of dragging the world down to the level of what is (not) possible in the USA, President Obama and his team are going to pull the US up to what the science and the world demands to avoid catastrophic climate change. One last point: every coach knows that when you find your team down by several goals at half-time, a change in your game plan may not be enough; it may also be time to make some substitutions to the players on the field. 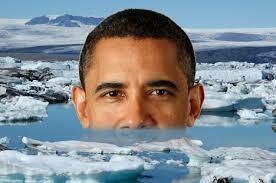 The Silence of US President Obama on Climate Change-A Serious Ethical Lapse? 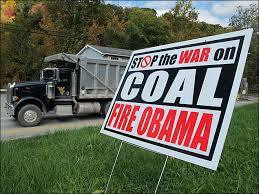 Ethical Problems With Some of Obama Team’s Approach to Climate Change? EthicsandClimate.org. 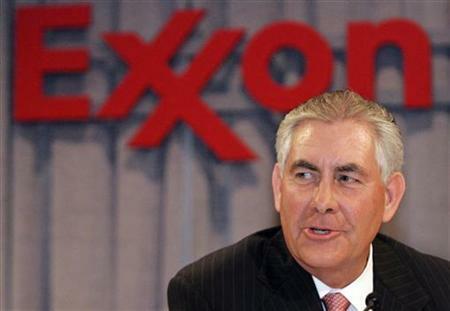 Ethical Problems With some of the Obama Team’s Approach to Climate Change? Three times in his movie Inconvenient Truth, Al Gore asserts that climate change is a moral issue. Yet, the US response to climate change has often failed to take seriously the implications of the claim that climate change raises moral issues. Although statements of President-elect Obama indicate a new willingness to assure that US climate change policy is consistent with global obligations, a recent report raises the question of whether the failure to understand the moral and ethical dimensions of climate change policy remains a problem among members of the Obama team.